A foot consists of three sections – the tarsal bones, metatarsals and phalanges. Foot overload with simultaneous muscular inefficiency can lead to the disorder of the proper functioning of its dynamic parts and cause anatomical changes. The weakening of the muscles responsible for foot arch causes overloading of the ligamentous-capsular system. Secondarily, this leads to a reduction in the arches of the foot (the so-called longitudinal arch of the foot). In the course of subsequent changes deforming the foot, the calcaneus can set itself up crookedly. This results in a displacement of the talus and navicular downwards and the inside part of the foot, which leads to the abduction of the forefoot (the so-called longitudinal flat foot with calcaneal valgus). Long-term disturbances of this nature can cause changes in the form of distortion of bones, marginal excrescences and pain in the foot and knee joint area. 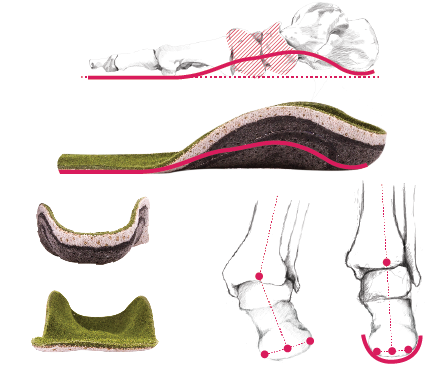 A trough structure of the arch support provides good stabilization of the tarsal bones and metatarsal. By correcting an abnormal position of the calcaneus, supporting the navicular and the longitudinal arch of the foot, proper anatomic conditions of the foot and functional movement in the joint are being restored. Reducing the overload within the second and third bone of the metatarsal enables correcting the position of the big toe and reducing pain. 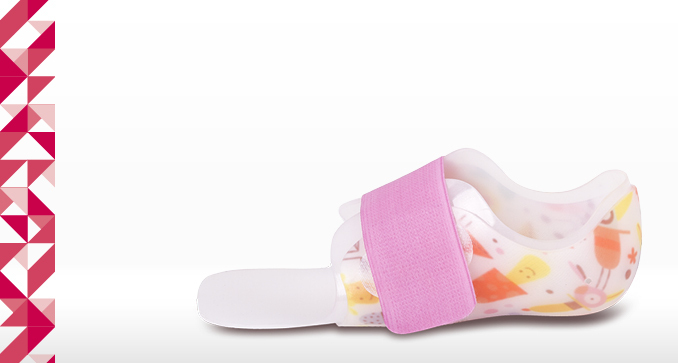 The arch support is made of several different thermoplastic layers of the material. Each of them fulfills a different function due to its location and different physical properties. All the materials used have appropriate test results and certificates confirming the high quality and safety of use in contact with the human body. Comfort – a layer intended to come into contact with the foot. Hypoallergenic, soft material with very good air permeable and moisture absorption. Elastic – provides the flexibility of the product while maintaining the proper shape. 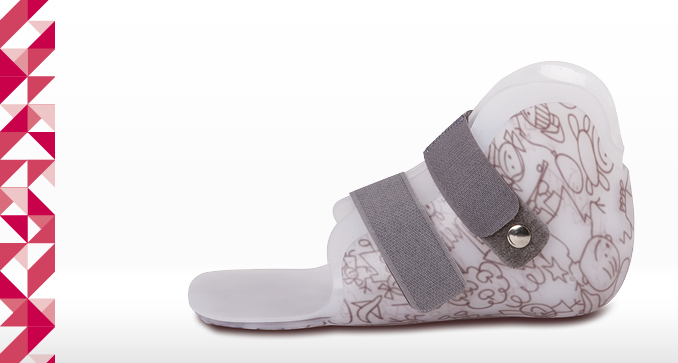 The distal part of the arch support allows for easy movements of foot. 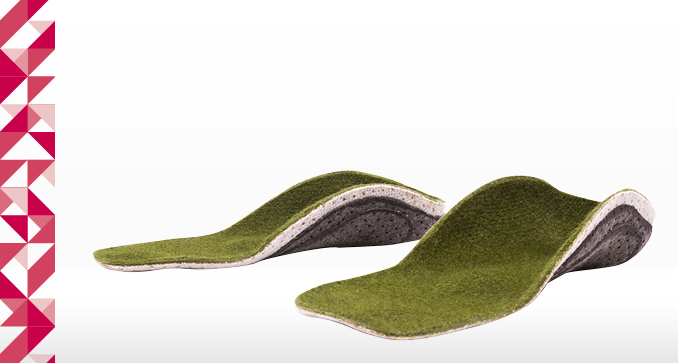 Correct – a carrying layer responsible for proper correction and rigidity of the arch support. Stability – this layer supports the stabilization of the key points within the tarsus area and ensures the durability of the product’s shape.